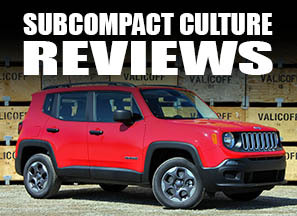 The rapidly growing compact crossover segment includes vehicles like the Kia Sportage, Suzuki SX4, Ford Escape, Nissan Juke, and others, all of which get decent fuel economy, have versatile interiors, and have available all-wheel drive. 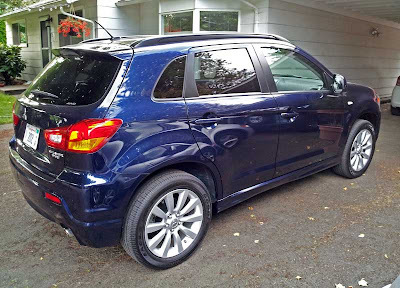 Mitsubishi recently entered the segment with its 2011 Outlander Sport. 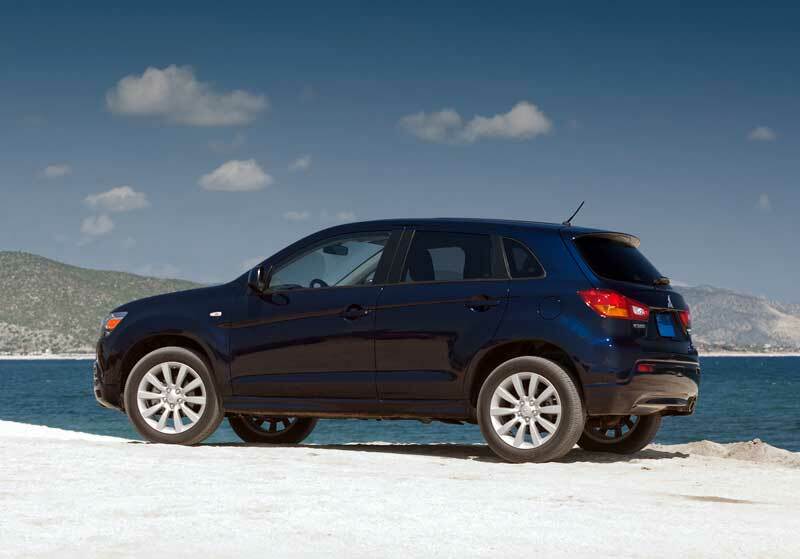 The Outlander Sport is the smaller version of the company’s Outlander, which I’ve previously reviewed. So how does Mitsubishi’s entry compare to other compact crossovers? To begin, the Outlander Sport has a unique, distinctive shape. It’s larger than the subcompact Suzuki SX4, but smaller than the Kia Sportage. 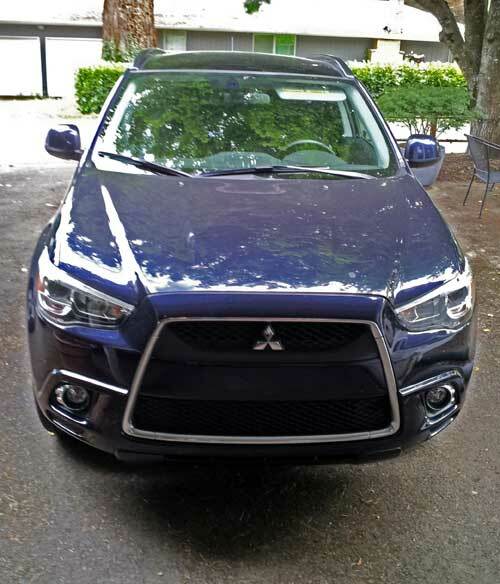 Its front grille has the distinctive Mitsubishi look, which appears similar to the company’s iconic, high-performance Lancer Evolution sports sedan. I even had friends say it looks like an “Evo”— a smart move by Mitsubishi, hoping to capitalize on the Evo’s halo status. Admittedly, the Outlander Sport looks a bit like a taller, chunkier Evo. It is hard to get an idea of the vehicle’s size until you’re right up next to it. Although not the most forward or exciting exteriors, it is attractive. The Outlander Sport’s interior feels larger than the exterior suggests. You sit high with a good view of the road; you don’t feel like you’re in a compact CUV. 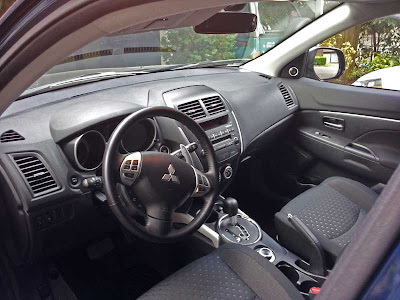 The interior is also similar to the Lancer and the standard Outlander—not bad thing. In fact, the interior is attractive with mostly high-quality materials. The Lancer I tested had flimsy climate control knobs. Fortunately, the Outlander Sport’s knobs felt more substantial. The cloth seats are heated and supportive. The rear seat was spacious with plenty of cargo space behind them. The seats fold down for lots of cargo carrying ability, too. There’s even a center pass-through for skis and longer loads. My test model came equipped with the panoramic glass roof with LED illumination. This huge glass pane was great on overcast days, but quickly heated up the cabin in the sun. Luckily, there’s a motorized cover that obscures the whole thing on sunny days, It’s still a nice feature, and it makes the interior feel airy when open. One of my favorite accoutrements was the fantastic 710 watt, nine-speaker Rockford-Fosgate stereo, complete with earth-shaking 10” subwoofer. Bluntly, this is one of the loudest factory-installed systems you can get anywhere, and it sounds awesome. I couldn’t wait to get into this vehicle simply for the stereo. The Interface is straightforward and there are controls on the leather-wrapped steering wheel, too. Other interior goodies include trick height-adjustable HID headlights, cruise control, and easy-to-use Bluetooth system. The car has all the safety features and three-letter safety acronyms, too (ABS, ASC, AWC, etc.). The Outlander Sport’s stereo may be powerful, but its engine doesn’t quite have the punch the Rockford-Fosgate subwoofer has. 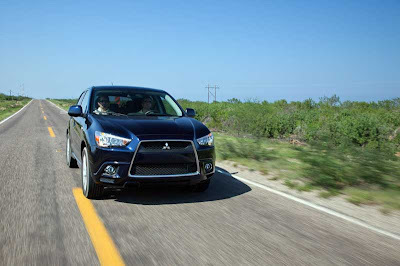 All Outlander Sports are powered by a 2.0-liter four cylinder making 148 horsepower. Most of these engines are mated to a CVT transmission with the ability to manually move things around via steering-wheel-mounted paddle shifters (a manual trans is available on front-drive models). Although the CVT helps fuel economy (24 city, 29 highway), it doesn’t do much for performance. When it comes time to put the pedal to the metal, the engine gets noisy, and there isn’t much thrust. Add in the all-wheel-drive powertrain’s weight, and it’s a lot of car to move with only 148 hp. 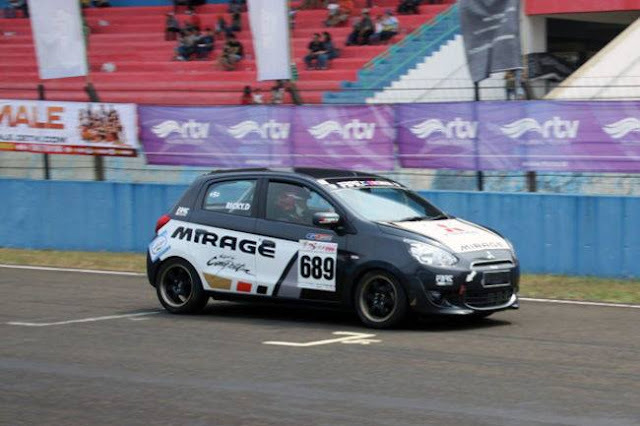 (It’s the same horsepower as the lighter Suzuki SX4, which weighs 300 lbs. less—and 28 horsepower less than Kia’s Sportage.) Speaking of all-wheel drive, the selectable All-Wheel Control has a dial to put the car in two-wheel, all-wheel, or all-wheel lock, which is for deeper snow, sand, or mud. 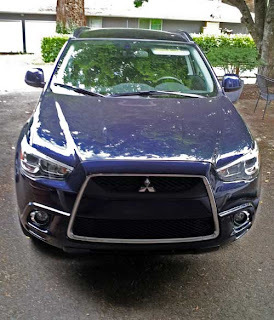 There isn’t a whole lot of Sport in the Outlander Sport’s engine/transmission, and that carries over to the suspension, which is more at home cruising the highways that cutting in and out of the twisties. Part of this comes from the slow, numb steering. The suspension tuning is comfortable, but not terribly sporty. None of this is “bad,” just not entertaining. These days, there are many ways to get “a lot of car for the money.” The Outalnder Sport, however, is exemplary. My test model came in at just $25,575. That includes a great stereo, all-wheel drive, a CVT transmission, panoramic roof, Bluetooth connectivity, 18” wheels/tires, an above-average interior, and nearly 30 MPG on the highway. At that price, it had me forgetting about the lack of thrust and vanilla handling. In fact, it’s nearly $2,000 less than a comparable Kia Sportage. And let’s face it, 29 MPG is a nice feature in a versatile crossover vehicle. No, it’s not going to win many races, but the Outlander Sport has a lot going for it, so long as you don’t need tons of power or razor-sharp handling. If you do appreciate good fuel economy, solid build quality, and a comfortable interior, take a look at Mitsubishi’s smallest CUV. What is your take on quality, dependability and maintenance? Would you say Mitsu is still on par with other Japanese makes? My family owned Mitsubishi products repeatedly through the 1980s and 1990s. We had very good experiences with them, and they were every bit as reliable as any of the Hondas or Toyotas I've owned. We, however, haven't had a Mitsu in the family since 2007, when my mother sold her 1997 Montero Sport in favor of a CR-V. I think like Suzuki, Mitsubishi suffers from a fairly small dealer network only a handful of cars that have been truly embraced by the car-buying public. Mechanically, I think their products are just as good as the other Japanese makes out there.